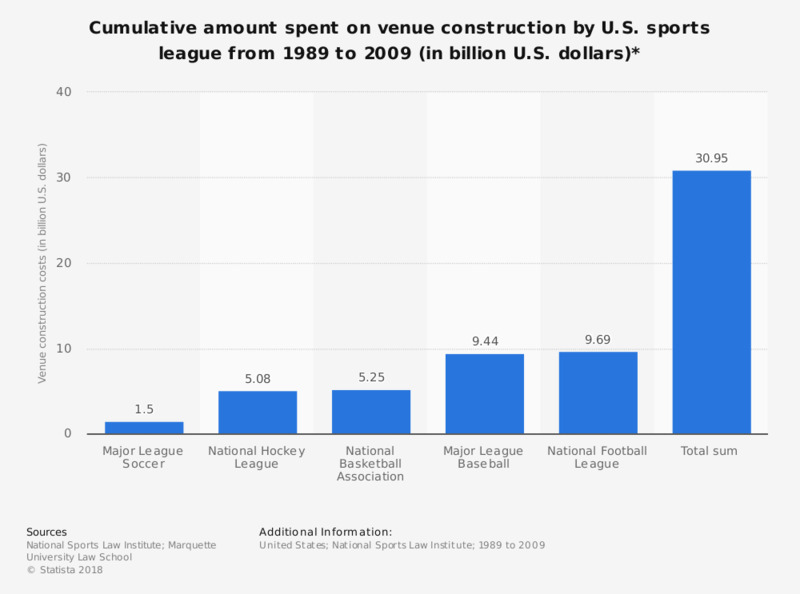 This graph depicts the cumulative dollar figures spent by each U.S. sports league on venue construction from 1989 to 2009. The total amount spent on venue construction for the National Hockey League between 1989 and 2009 was 5.08 billion U.S. dollars. * The figure for Major League Soccer includes all venue construction costs since 1996, the league's inaugural season. If a venue hosts more than one team it was included seperately for each individual team. For example, the Staples Center counted twice towards the NBA total (Clippers and Lakers) and once for the NHL (Kings).